At St. Teresa’s we take very seriously our responsibility to prepare children for life in modern Britain. We ensure that the fundamental British Values are introduced, discussed and lived out through the ethos and work of the school. All curriculum areas provide a vehicle for furthering understanding of these concepts and, in particular, our RE, PSHE and Citizenship lessons provide excellent opportunities to deepen and develop understanding. Children embrace these concepts with enthusiasm and demonstrate a good understanding of their application to their own lives. Each week we have a statement of the week. This is introduced in liturgy on Monday. The statement is on display in every classroom and adults make reference to it throughout the week. Pupil voice, as well as parent/carer voice, plays a central part in developing school improvement priorities. The school is clear in demonstrating how pupils should contribute and co-operate and consider the views and needs of others. Members of the School Council are drawn from each year group and are voted for by the pupils. The School Council meets regularly and takes part in decision making on a range of topics. Staff consistently reinforce high expectations of pupils. Pupils create their own class rules, which are reviewed termly. Whole school rules are constantly reinforced and pupils understand that they are there to protect us, that everyone has responsibility and there may be consequences when rules are disregarded. At St. Teresa’s, our Christian values of respect and tolerance permeate all areas of school life. This engenders a climate within which pupils feel safe and secure and facilitates the fulfilment of potential. All staff demonstrate respect to everyone with whom they come into contact. They consistently model and promote the behaviours and attitudes that are the foundation of positive relationships. The strong school ethos encourages everyone to consider and support each other and to celebrate the worth and individuality of every member of the school community. The school’s curriculum aims to develop understanding of the world. 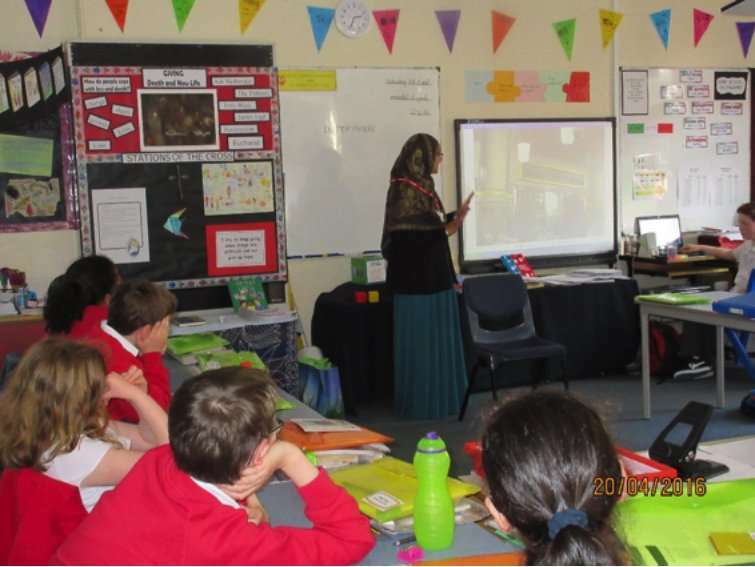 The RE and PSHE schemes of work provide opportunities for pupils to develop tolerance of and empathy towards those from different faiths, beliefs and cultures. Additionally, our yearly International Week provides an opportunity to celebrate the diversity of our school community.